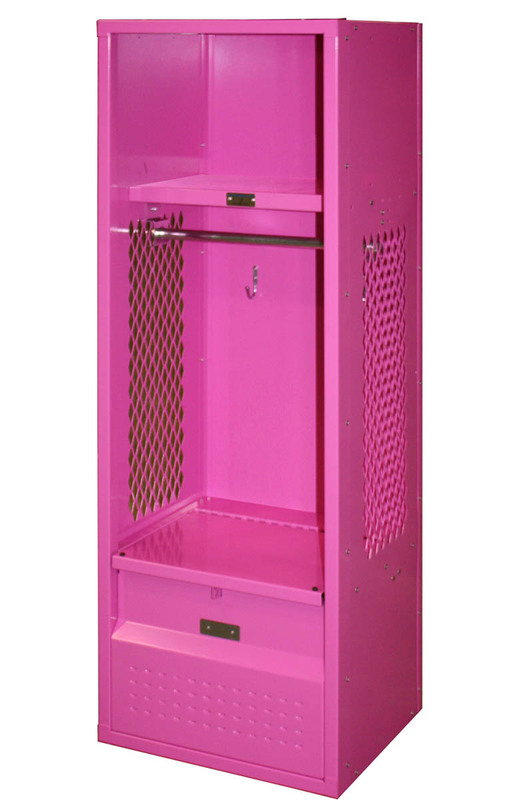 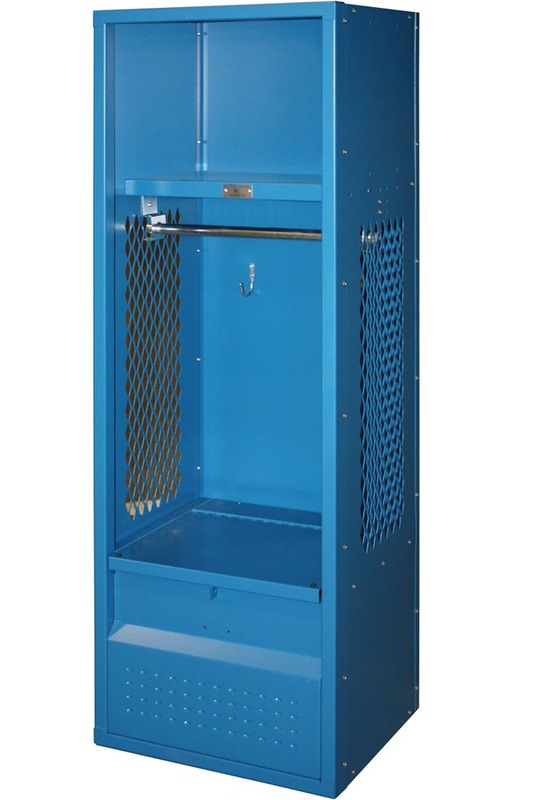 These Kids Stadium Lockers are available on www.buyusedlockers.com where they have a huge selection to choose from if we need additional supplies. 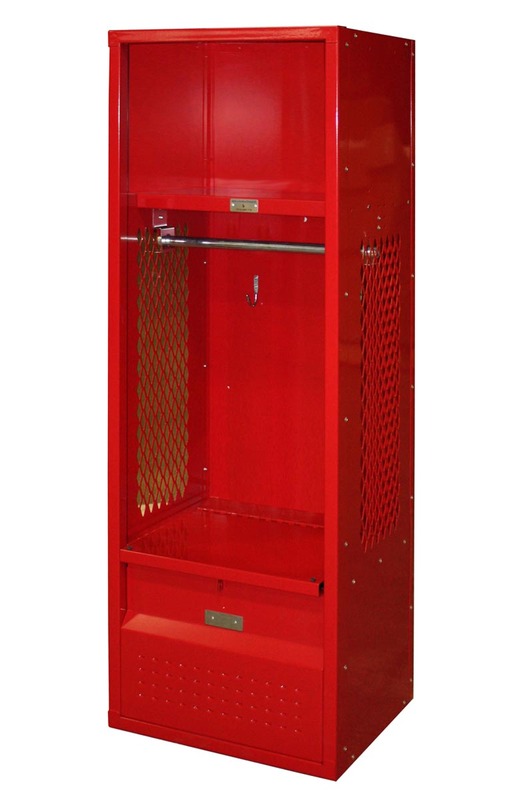 New kid's stadium lockers available that are just like those that are full size but on a smaller scale; designed especially with kids in mind. 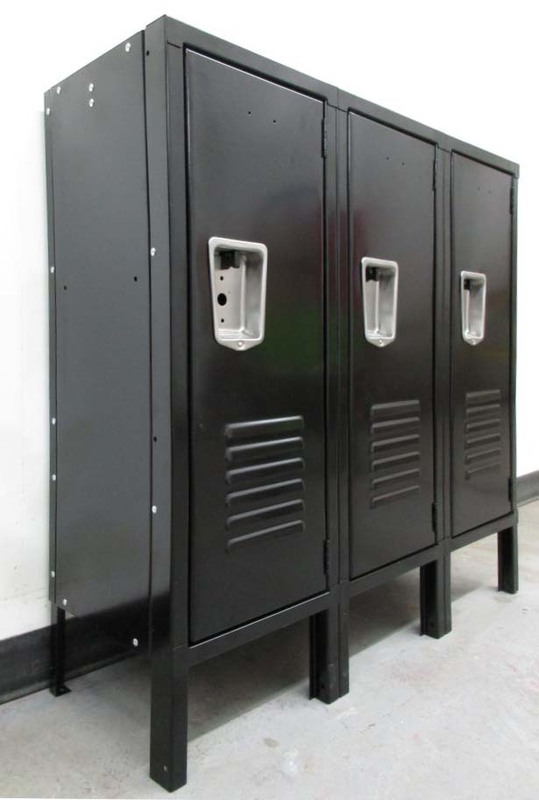 They have 16 gauge diamond perforated sides and 16 gauge solid steel top, bottom and shelf. 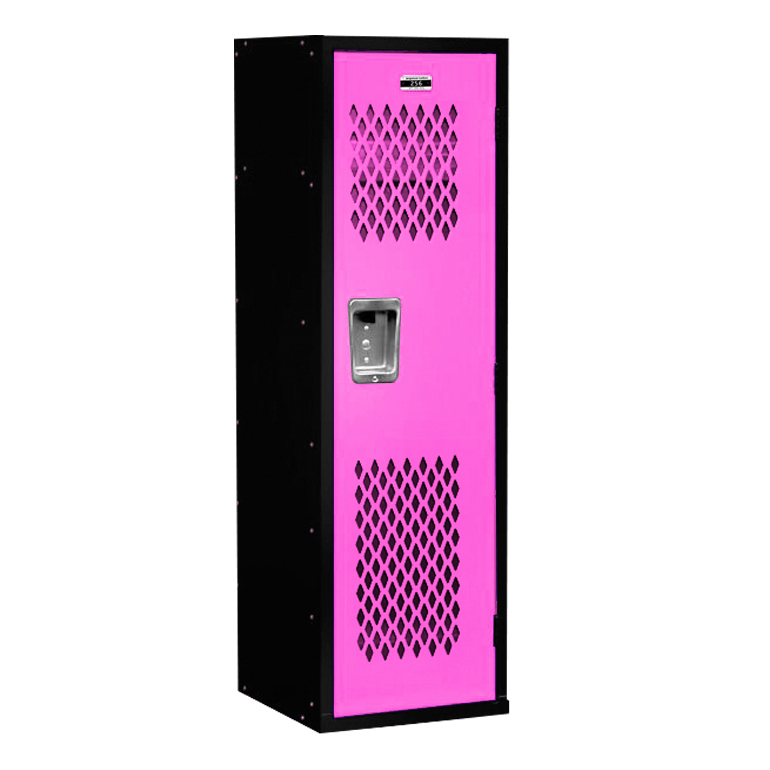 Available from our "Quick Ship" program in blue, red, pink or black in limited quantities or are available in several production colors. 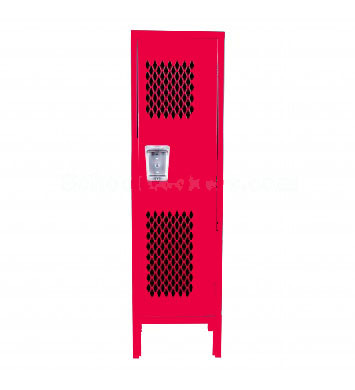 These are a great and practical way to organize and decorate your children's "sports themed" bedrooms or organize your garage and mud rooms.